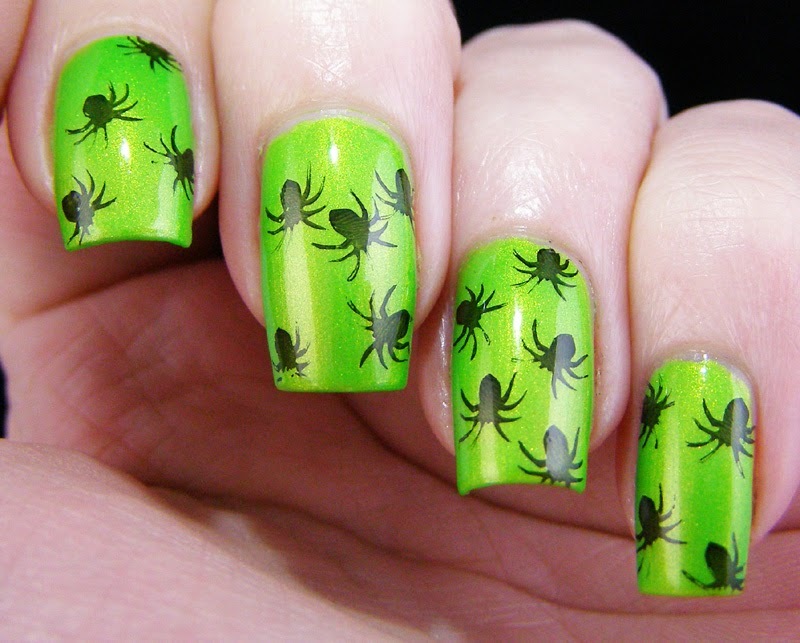 My first little bit of nail art for the Halloween season! I'm so excited, it's not even funny. This is seriously my favorite time of year. I can't wait to decorate the house with cobwebs and bats. I'm over the moon about picking pumpkins and carving them up. It's a sickness really. 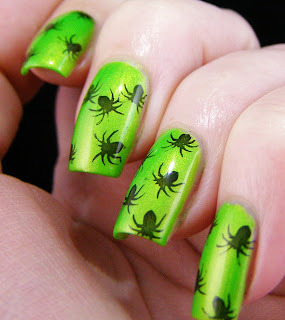 So, for my first official halloweenicure, I chose spiders...because they creep me the hell out. It was also the only Halloweenish stamp I had. This must definitely be rectified. Update: I was typing, in dim lighting, and these spiders totally freaked me out. Silly, I know. I forgot for a split second what was on my nails and had a moment of "omgImgonnadieSPIDER!" So...let that be my first Halloween prank. On myself. Yay.